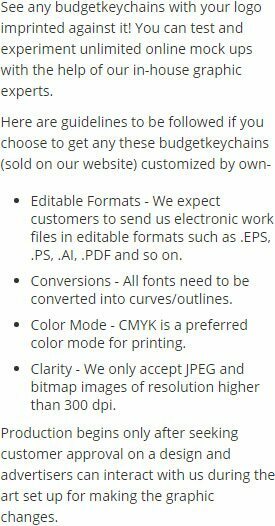 Do you think it is a time to get aggressive with your promotions? Then we suggest you get on with this customized shark shape bottle opener key chain! Bearing strong jaws, which can remove bottle necks and carry your business message with ease, this shark shape bottle opener makes a good asset to your campaign. Perfect for promoting aquariums, zoos , beach side accommodations, art and craft stores, summer camps, and many others. 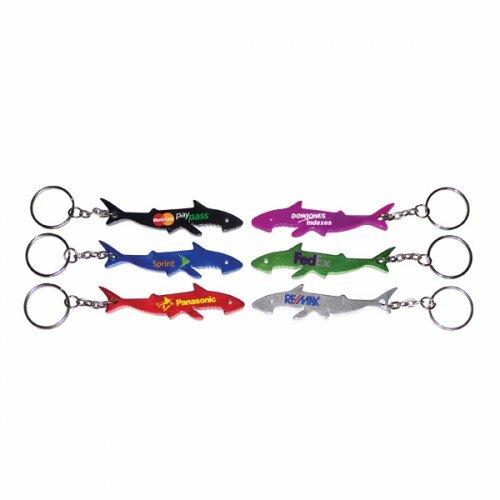 We offer price benefits on bulk orders of this shark shape bottle opener animal keychain. Request a quote to know wholesale price benefits on this custom shark shape bottle opener animal keychain. Features – Shark shaped aluminum body in metallic finish. Product Size – 3 3/32" x 25/32"
Available Colors - Metallic Blue, Metallic Black, Metallic Green, Metallic Red, Metallic Purple and Metallic Silver. Imprint Area : 1 7/16" x 3/16"
Product Size : 3 3/32" x 25/32"
Customer Service & Shipping - great customer service, and fast shipping.